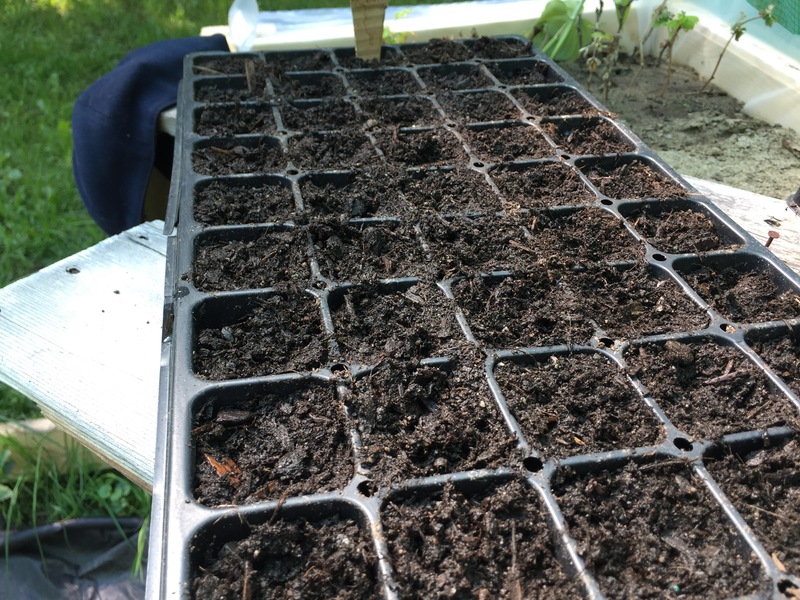 It may be a little early but I am starting cabbage and broccoli for the late summer and fall growing. I started with a tray full of soil which I watered and let sit overnight. 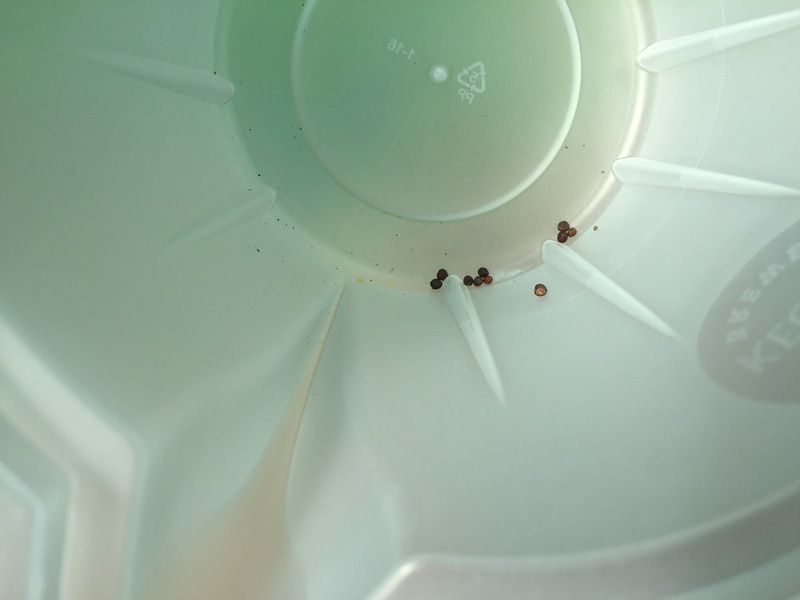 In the morning I misted the soil again and made holes to receive the seed with a spoon. Once the holes. It was as simple as trying to get one seed Per hole. Which is not as easy as it sounds, the seeds are very small. 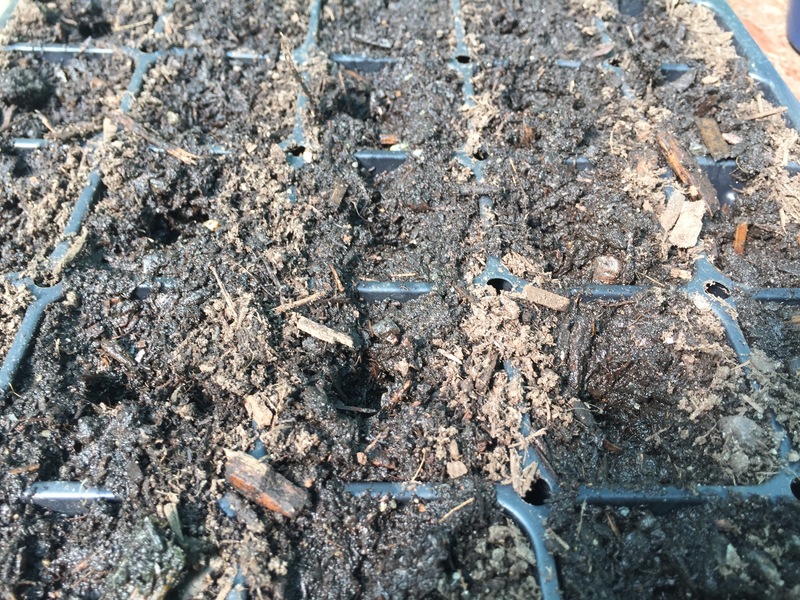 Here you see cabbage seeds that were left over after I planted the tray. Here you can see the tray when all the holes are punched into the soil I believe the seeds had already been placed in the seed cells at this point. 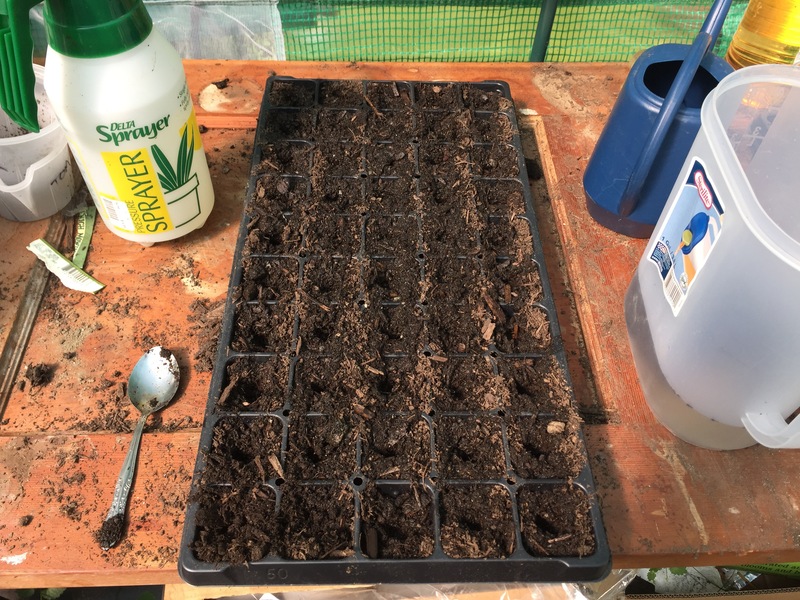 Once the seeds are all placed simply push the soil back over the top and give it a light Pat. Once again the spoon works well for this since the eating end is small enough to fit inside the cell a little bit. Once that is complete all that is left to do is to label the tray. For this I simply used a piece of cardboard since it is available and it doesn’t matter if it gets destroyed. One thing to look out for is whichever cell is holding the cardboard keep an eye on its water level the cardboard can act as a Wick and pull the moisture away. I got a little carried away while I was in the greenhouse and ended up transplanting the rest of the basil and starting 50 more marigolds. This brings the total growing now in the greenhouse 50 broccoli 50 cabbage and 50 marigolds. I also ended coming up with about 35 basil plants and 15 dill plants. All in all not a bad morning so far. Previous PostBasil on my mind. Next PostSaco time again! Expedition day one.